This is my first book by this author and I can tell you I would definitely pick up another one. The story was very well written, with two characters that seem so different at first, until you really start to see who they are inside. I will admit that there were times in this book that made me hate humanity, because while the story is fictitious, it is also very true. And I can totally see this type of thing happening if another lifeform were to come to our planet. However, I loved that the characters were able to help each other deal with some dark memories and hard things that had kept them from really living life. I can't say that I'm 100% happy with the ending, but it was still a happy one and fitting for the characters and story. I do want to also make a small note about the cover because it does make it seem somewhat silly and comic book-ish, but the story really is so good. Lee Winter is an award-winning veteran newspaper journalist who has lived in almost every Australian state, covering courts, crime, news, features and humour writing. Now a full-time author and part-time editor, Lee is also a 2015 Lambda Literary Award finalist and Golden Crown Literary Award winner. She lives in Western Australia with her long-time girlfriend, where she spends much time ruminating on her garden, US politics, and shiny, new gadgets. 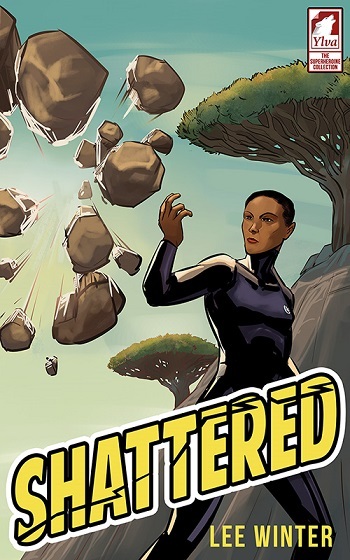 Reviewers on the Wicked Reads Review Team were provided a free copy of Shattered (The Superheroines Collection #1) by Lee Winter to read and review.